Since I am recovering from a fractured vertebrae, regular photography has been difficult for me, and almost next to impossible a month or so ago. I started playing around with some digital art. A far cry from my usual photography. I am able to get out now for short periods and I am supposed to start ramping up walking etc. but nothing strenuous. So I have been taking photos with my Galaxy S7 and an ipod touch. It took me awhile to get a managed workflow, from the Android, and Apple devices to my pc and then it is made available to my iPad which is where all the editing, compositing, etc. take place and the art is finished. Here are my first two pieces made along similar lines, all edited on an iPad. Some of the apps have annoying "features" like reducing the resolution and poor compression after editing, but I am discovering those. The Apple/ipad art work is all new for me. So feel free to comment and criticize or any kind of constructive info would be appreciated. Remember there is almost no photoshop although I did generate the signature in PS and resized it for web there. The are composites of images and heavily modified, all images are from my mobile devices. If any is curious about apps, I have tried quite a few and trying more, be happy to comment about them as well. I have same nice apps for capturing the images at the beginning of the process. I also have to admit my take on such an approach has "evolved" over the years. Nowadays I see it as akin to running a clean electric or electro-acoustic guitar signal through various effects devices. If you like the result, go with it. There is no such thing as purity, in photography or otherwise. All is mongrel. Sorry to hear about your travails Alan. Nonetheless, what you have produced with your mobile devices is stunning! If you have any other images please post them. Really nice Alan. Your comments on apps and process would be welcome. Thanks everyone for the comments. I will post some more art soon, had some other issues to deal with in the meantime. So comments about tools and apps. I have tried a bunch of these. I have tried some of the BT powered ones like the Jot Script and the Pencil by 53. While these work sort of ok, I was not happy with them totally. The Script, I thought would be good for taking notes and being paperless when taking notes, this was my hope. I found this was not that practical for me. Taking notes with pen and paper, works so much better. The Jot is not real conducive for picture editing. The Pencil looks cool with the wood handle and the flexible tip for pressure etc. was pretty cool, it is not that usable at least for me with the art stuff. Many apps do not recognize the features, though they have their own app. I am not much for original painting and drawing, I take pictures and modify them. I also tried some of the premium unpowered styluses, the Jot Pro, and the Sensu brush and stylus. Again I am not an original artist and I found the resolution kind of limiting, it may be more useful as my skills improve or I start doing my own original art work but the resolution and app sensitivity is an issue for me. The best stylus for me and the most useful is also among the cheapest. I found the Friendly Swede brand of pen styluses, they have several versions, ones with replaceable tips ones with out, some with finer tips, some tips out of rubber and some out of microfiber. You can get packs of six of them for very cheap on Amazon and they work great. They work with all the apps, the microfiber tips have a slightly more positive feel and less "squishy" feeling, but I like both and have both. They do wear out over time I am told, so far I have not done enough to have an issue with this yet. But when they come in a pack of six, it will take awhile. These were the last I tried, I originally thought the other more expensive ones would be better but that was not so. The huge problem for me with the Jot brand, they have nicely finished aluminum barrels that are absolutely round, which means if you put them down on anything with even a slight slope, they roll off. Huge irritation and just poor design. The Friendly Swedes are cheaper looking but they have little clips for your pocket and they stop them from rolling. The Friendly Swede styluses come with a lanyard you can connect the other end goes as a dust cover in the headphone jack and then it is attached to the device, I don't use the lanyard but it is there. All in all I wish I had started cheap, they are the best for the kind of photo modification I am doing, at least for me. Apps this will be an ongoing discussion. There is so much out there most of these are IOS only but some are both IOS and Android. Adobe has several "Photoshop" apps that are free and some are just a few features that you find in the desktop versions, like Photoshop Fix just pretty much is for healing and cloning with the use of content aware technology although it can use the older methods as well, and has things like the patch tool, etc. General photo editing I have been using Filterstorm Neue, which is a pretty decent general photo editor, and there is also a Pro version that has some more features like IPTC encoding of keywords etc. It also can use DCRAW but I have not really tried the raw editing yet. It has a decent clone tool and decent tools for editing. Works pretty well. Superimpose- a nice app with some great features if you want to overlay or blend two images, some great masking tools that make things simple, but some big drawbacks. First off it resizes everything down to 8mp no matter what size it was coming in and even in the crop screen it will show dimensions but then resizes. Emailed developer, no comment or response. Also uses lousy compression when saving completed work. 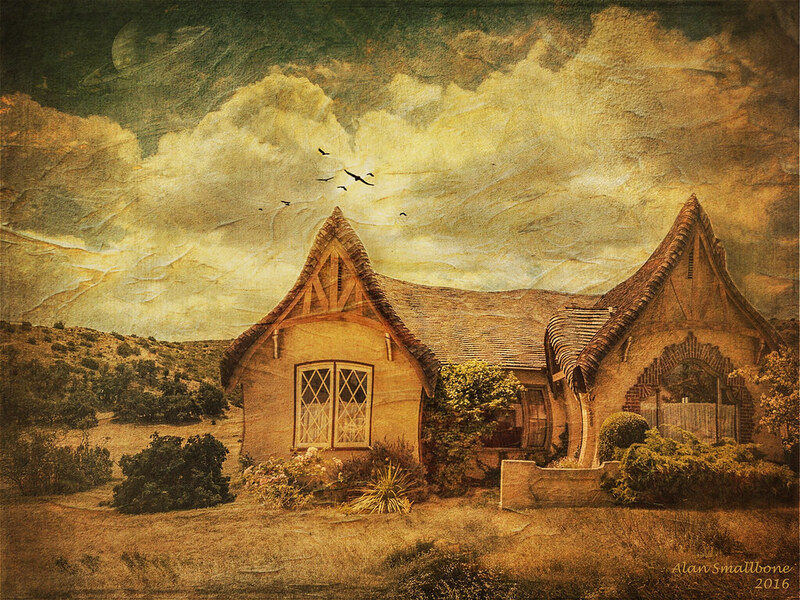 Distressed FX - has a lot of nice textures and toning tools, does not let you set compression when saving images, not the best compression used. Stackables - nice layering of textures and filter effects, with layers, blend modes, can create own presets, and masking. Also has built in filters and textures. Pretty useful for those kind of things. Formulas - Has filters, built in textures and layers. iColorama, two versions one for iPad and one for iphone they are seperate purchases. Both have similar features, advance image adjustments, built in filters and textures, masking, and special effects. A fairly large learning curve and a lot it can do. Procreate - more an original art with advanced brushes and filters and effects, blending and masking. Mextures - layers, filters, blending, blend modes, can create own presets and built in textures. Leonardo - paint type program and turn into paintings, but has image adjustments, blending, masking, textures, filters. There is a lot of overlap and I am still learning a lot about all of these. Some have links to tutorials, but a lot is trial and error. iColorama has a lot of tutorials linked from the app and there are some for Procreate, both are very complex for apps like this. Both type of devices Android and Apple have decent basic apps for taking pictures included with them. VSCO is another app for taking pics and is on both platforms, and yes it is kind of kitschy but it does some fun stuff, lots of presets kind of instagramish. iOS this is limited to my devices which are an iPad Air2 and an iPod Touch 6 which is the same as the basic iPhone 6 camera. The ipod has kind of a lousy battery life but it works, I have mine in a shockproof case with a screen protector as it is usually in my pocket. It gets treated rough. Generally in bright light, hard as hell to screen the screen. The basic camera app is nice but there are some better ones. Camera+ - this is pretty cool, lets you separate the focus point from the exposure metering point, just drag the crosshairs. Basic camera features WB settings, lets you set image capture properties, etc. This was my main photo app for this device until I found Procamera. This also has some basic photo editing features. Procamera - I like this one a lot, lets you separate focus and exposure points, has real time histogram of luminance basically. A lot of nice features and can also save in Tiff if so desired or you can set compression levels for jpg. has a nice manual mode. This I think is the best iOS capture app. For iOS will use Procamera almost by default, sometimes VSCO just to be simple and I like some of the cheesy effects. For mobile photography since I got the S7 this is my main device. Can save in DNG and jpg so you have a nice raw image. The included Samsung app is pretty decent, however like most things in life there is a better app. The S7 has an amazing lens, super sharp, yes it is fixed but the best mobile images I have seen. Dynamic range is great for the camera, the raw files are fun to work with and it just works well, color is great. Camera FV-5 - this is the most used camera app for me. Live RGB histogram, pro modes, full manual, capable of doing 10 sec exposures, I have used this with some ND filters for water blurring etc. Has timers, settings, bracketing, exposure compensation. All kinds of flash modes, focus is good. I also VSCO for same reasons as stated for the other device. In order to do some stable photography with either device I use the Beastgrip Pro, this allows me to use any phone size device and has a lens adapter with 37mm lenses, which they sell a couple and there are others available at other locations. I have used this adapter with step up rings to do longer exposures with ND filters. Yes more crap to carry around but not that much more. I have been using this with my Varizoom Chickenfoot as a "tripod" for holding the Beastgrip. A very light and easy to carry in a small bag with my lesser mobility. None of this is a replacement for regular cameras but it is a hell of a lot of fun and can be inspiring. People are doing some amazing imagery with mobile phones. I used to be more snobbish about the mobile stuff but have learned to embrace it now and enjoy it as with any kind of imagery. It is the image that counts, not how it was made. Thanks, I use a few apps on these images, elasticam, superimpose, filterstorm neue, distressed fx, formulas, and alien sky. Elasticam was to warp the houses before placement on the landscape shot. 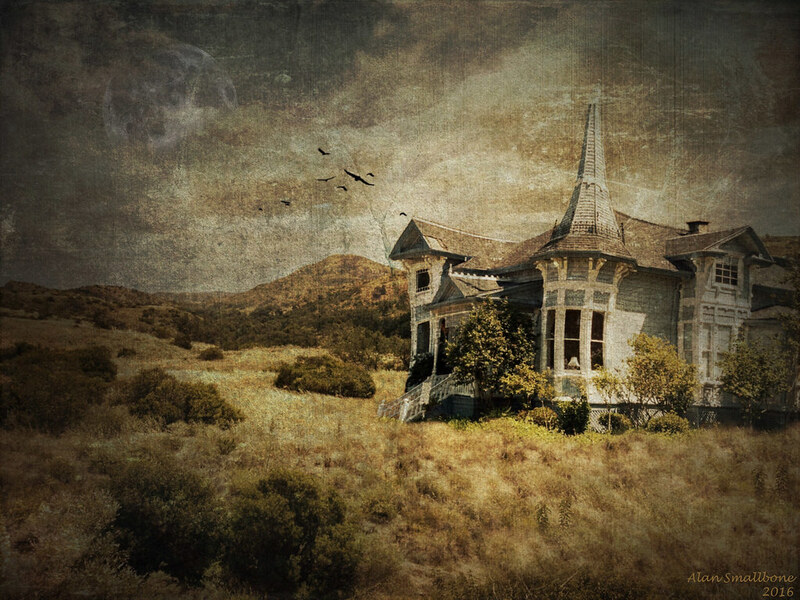 Superimpose was used to "cut out" the house and add it to the landscape background. Filterstorn Neue was used clone around the house to blend it in better. Distressed FX was to add the birds and some textures. Alien Sky was used to add more textures and vignetting and to add the astronomical elements in both images. Distressed FX again to add more tones and textures and then Forumlas for more textures. The textures bind and bring together the images and make them a more cohesive element. All of this is experimentation, most of the apps have an undo, and if not then just exit and reopen with the image used as a start. Most of the apps do not understand layers and are destructive editing so to speak. So after each app has what ever it is used for applied, the image is saved to the cameraroll. The next app is brought up and the image is opened. So you can always go back at least one layer. I find I can spend many hours trying different things with different results, sometimes to the point where I get tired of holding the stylus or dragging my finger and holding the ipad then I move away from it. As an editing tool for general photography I would not do my general editing with the ipad. I find the color is different between it and my color managed and calibrated desktop. So the ipad is an "art" device and I enjoy it as that and use it accordingly. Mine is 128gb and storage can get filled up rather fast. My original reason to have the ipad was for my drone and that is still a main use for it. But the art is fun and nice outlet and can be very creative and fulfilling. Coming into this thread very late but I must say I quite like these Alan. Sorry to hear about your cracked vertebrae. I've been using a camera phone quite a bit since the onset of serious rheumatoid arthritis. I've found the Moment add on lenses to be excellent and my Pixel 2 makes pretty amazing images with the Moment lenses and it's own native lens. Anyhow nice work you've done! I want to get an app for Raw. EST raw capture app is Lightroom Mobile. Clean interface. Easy to use. Blown highlights indicator (in Pro mode). Easy Exposure compensation. PLUS it has HDR raw capture, taking three images then combining them into a DNG file for processing. LrM is free. You do not need the CC subscription to use it, although, without it, you are limited to exporting one raw file at a time. If you have a CC subscription, then it’s a no-brainer. Since this thread began, Affinity Photo has become available and is a full fledged editor, very much like the desktop version. It is layer based and has raw support. Quite powerful for cheap. I am sure that is what prompted Adobe to come out with a PS version for ipad. Give the Affinity Photo a try, well worth it if you want to edit on a mobile device. Thanks a lot. Very sorry to hear about the arthritis I know that is brutally painful. I can't justify upgrading my phone so I am still using the S7 which is still quite good for a mobile device. Glad to hear the Moment lenses are working out for you. I am still enjoying the artwork, I took an online class about using iColorama and it is quite fun. The ipad makes the editing fun, that is the only Apple product I have but it works well for the artwork and for reading ebooks. Serif has also released their version of Affinity Photo for ipad and it is just like the desktop version. Enjoy making your photos and artwork if you go that direction. Fun and kind of therapeutic.